What’s the Big Deal About Ceramic Pro 9H? As the auto world is developing so are the methods of protection for your vehicle. With these new techniques that make wax obsolete, many people are wondering what’s going to take over as the ultimate vehicle protection. Luckily you don’t have to look any further. Ceramic Pro 9H is not only the latest and greatest in paint protection, but it also comes with a lifetime warrantee unlike its competitors. 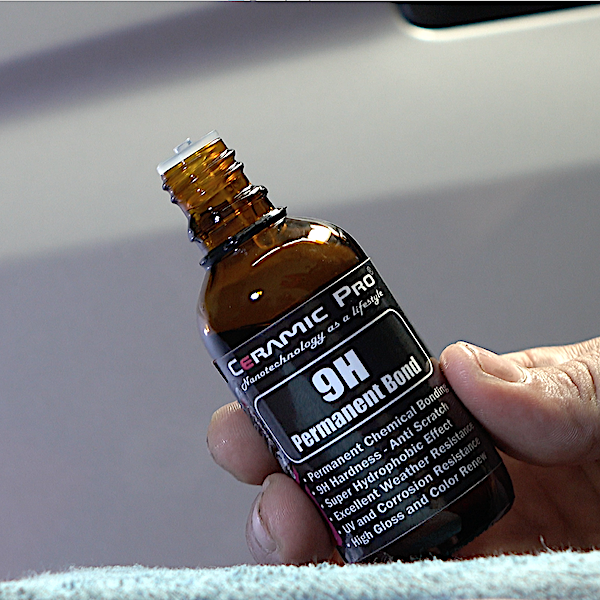 There are countless products that can create a protective ceramic coating for your vehicle, but the fact of the matter is that none of them create the same protection the way Ceramic Pro 9H does. Let’s be honest. If you’re looking to invest in a ceramic coating for your vehicle you only want the absolute best quality. Ceramic Pro 9H creates a permanent bond with the surface or your vehicle, which will not wash or break down. It’s actually impossible; it can only be removed by abrasion. This flagship product protects the paint from outside damaging contaminants, which means you can enjoy your vehicle without worrying about weather and scratching. Ceramic Pro 9H is the only product of its kind because it is applied in multiple layers which bond together to create a thicker and harder coating with improved scratch resistance. In addition to protecting your vehicle, Ceramic Pro 9H is extremely hydrophobic, which means that you’ll never have to deal with anything more than a touchless car wash ever again. How great is that? Ceramic Pro 9H provides the toughest coating of its kind. Because of how it bonds to your paint the 9H product actually repels other chemicals or contaminants from adhering to its surface. This means that Ceramic Pro not only created a product that is scratch resistant and hydrophobic, but also UV resistant and anti-graffiti. It also protects against oxidation, chemicals & corrosion all while maintaining its superior high gloss finish. What could be better than your vehicle looking like new for as long as you have it?